For 47 years the Stingray name has been associated with unique Corvettes. 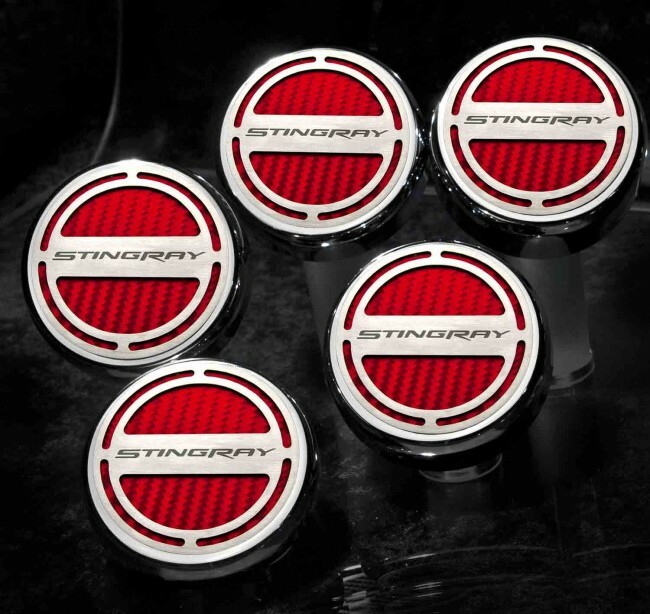 Now you can enhance your engine's uniqueness with the 2014-2015 Automatic Corvette Stingray Fluid Cap Covers 5Pc Set With "Stingray" Lettering. Each piece is hand finished and laser forged in the USA and is designed to give your stock engine a truly custom look. NOTE: This part is for automatic transmission equipped Z06/Z51/C7 Corvettes ONLY.